do you underseal the bottom of vehicle, if so what product do you use. Not just down to underseal, galvanising helps, as does simple stuff like plastic wing liners that stop mud accumulating in the wheels arches. Just look up metal edge protection on ebay, just cut to length yourself. Now at the point when I learn something new something old is lost out the other side ! Now retired so it doesn't matter anymore. I use waxoyl and/or bilt hambers dynax ub. I take the wheels off and Jack the car up. Power wash the car off and use a wire brush on any rusting bits then use a compressor and spray gun to apply the underseal. “Freelancers don’t rust”. That’s just wishful thinking. I bought my 2009 HSE last September from a JLR main dealer. I trusted their prep work, but when I checked it at home during its inaugural clean I was shocked to see massive amounts of severe surface corrosion along both sills and in all four wheel arches, especially in the turrets. It took me eight days to strip back, Jenolite and waxoyl the affected areas. Not impressed. Also I recently saw a written off Range Rover on a recovery truck, not sure how old but I’m sure it was within ten years. Anyway, it’s offside sill was exposed from impact damage and it was rotten, totally rotten through with rust. Astonishing to see how bad it was. Just look up metal edge protection on ebay, just cut to length yourself. One issue Ive had with plastic wheel arch liners in the past is that they can sometimes wear away the body work paint/underseal where they touch, especially if there is vibration/movement - something to check out when your head is inside the wheel arch maybe. The Freelander 2 uses only galvanized steel panels double sided as part of treatment and anti-corrosion paint applied ever more sophisticated in a Land Rover. Includes a cosmetic warranty three-year, unlimited mileage anti-corrosion warranty and six years. As a genuine 4x4, Freelander 2 is designed to withstand impacts and scratches. Vulnerable areas, including thresholds and lower doors, are coated with a rugged thermoplastic material. The cooling system and the engine cowlings have been protected with sturdy structural steel and thermoplastic material, respectively. The bumpers are made of reinforced polypropylene injection molded high pressure material that offers excellent resistance to heat and cold and excellent resistance to impacts and scratches. I am hoping that it won't rust away like the mid 20th century cars did. Ever since then I have avoided 'hiding problems with underseal, and stuck to treating rust as it appears. Unfortunately there seems a lot of plastic covers for rust to hide behind on the FL2. Remember in the 70's when after 3 or 4 years you would be looking for signs of rust around the tops of your McPherson struts? Common MOT failure on Ford Escorts, Vauxhall Vivas etc. Very true, several of my cars of that time developed very small spots in the paintwork arourd the base of the windscreen and turret area. At first they appeared to be very minor and were easily polished away, then came the realiseation that only the paint was solid and the metal below had rusted away. I have quite a few bits of 2-part filler, resin, and glass fibre mat left over in my garage from those days. 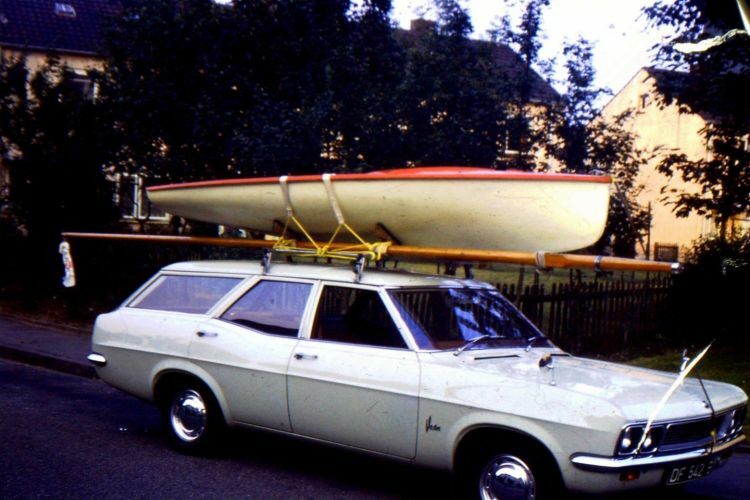 In fact I can remember covering my sills in glass fibre on a 1968 Vauxhall Victor to protect them. This was done within the first couple of years of its life, but I was eventually left with virtually no metal behind the glass fibre.